Due to the increasingly difficult legal situation regarding the realization of projects in inner city areas, the National Department of Specialized Foundation Engineering (Bundesfachabteilung Spezialtiefbau, BFA) of the German Construction Industry Association (Deutscher Industrieverband) has decided to create a leaflet dedicated to the topic of noise at construction sites. The leaflet is primarily intended for developers, planners, and construction companies. The goals of the leaflet is to raise their awareness of this topic and to provide practical advice on how to deal with this topic since the proactive planning of a construction project that takes these problems into account can help achieve a balance between the interests of the various parties. 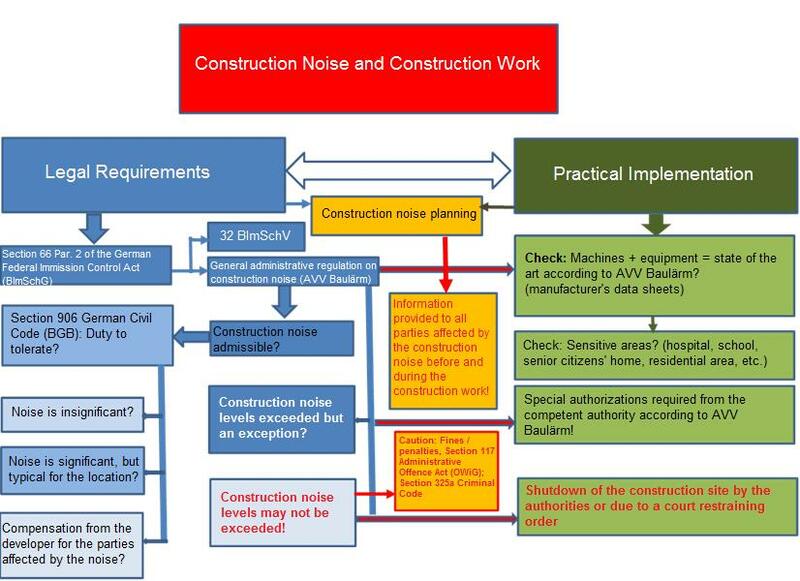 Noise at a construction site, which is unavoidable under certain circumstances, a viable consensus must be reached as early as possible with the affected local residents. Court orders or orders from public officials issued during the construction work as a result of noise complaints are particularly critical. They almost always lead to additional costs, and in many cases to construction delays. To produce a solid foundation for creating a noise prediction, noise measurements must be taken by an independent expert at the construction site for almost all construction methods used in specialized foundation engineering, and the measured values must be collected in a database. The values obtained from the measurements clearly indicate that the motors & fans of all large pieces of equipment used for specialized foundation engineering produce peak noise levels. There is a greater need for action to reduce base noise levels regardless of the construction method used. At this point in time, it can be stated as a preliminary conclusion that, like in the Explosive Ordnance leaflet, the person responsible for the noise is the developer and that the developer or his or her vicarious agents must create a noise management plan in the early project phases.